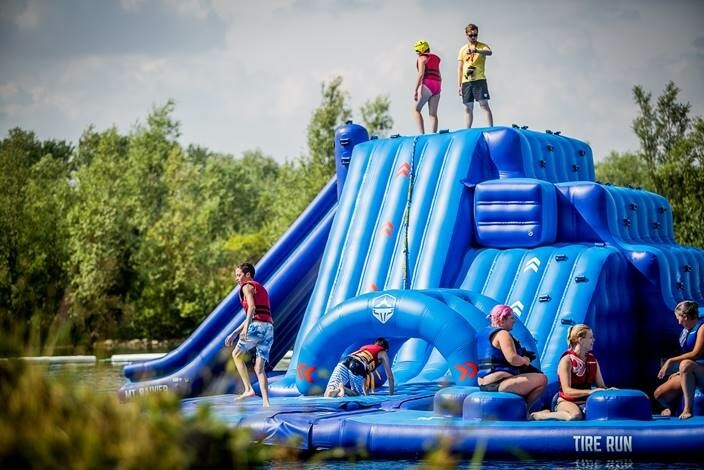 Enjoy an incredible family experience at the brand new Aqua Park in Cambridgeshire as we have a family pass for 4 to give away each week over the summer! The Southlake Aqua Park is the biggest aqua park in the area, large enough to comfortably host over 70 guests per session. It's suitable for all ages 6 and over, with trained staff and lifeguards on site at all times, providing a safe and fun environment for all ages. The park is open from 10am - 6pm weekdays and 10am - 6pm at weekends, with free parking available on site. If you would like to find out more information about the Aqua Park, please visit southlakeaquapark.com. For your chance of winning a family pass for 4 to the Southlake Aqua Park, please fill out your details using the form below. The competition will close on 31st August at 9am. 1. The following rules (“Specific Rules”) together with the general competition terms & conditions (which can be found at http://www.starradioonline.com/terms-and-conditions/)(the “Competition Terms and Conditions”) of Star Radio as defined in the Competition Terms & Conditions apply to ‘Win a family pass to Southlake Aqua Park’ competition ("the Competition") which will run from 31st July 2018 until 31st August 2018 at 09:00 (“the Duration”). The "Radio Station" is Star Radio (Cambridgeshire). 4. Five entrants will then be selected at random after the competition is closed. 6. The winning entrants will be announced on-air on 6th August 2018, 10th August, 17th August, 27th August, 3rd September. 11. A family pass, consisting of 2 adults and 2 children, to Southlake Aqua Park. Wetsuits are included if wanted. 13. Tickets will not be sent out - your name and address details will be sent to Southlake Aqua Park and they will get in touch with you to arrange your booking. The prize needs to be redeemed by the end of September.